The ADP private sector employment estimate will steal some thunder from the official estimate on Friday. Although the two times do not line up tightly in the short-term, ADP captures the underlying trend. The ADP estimate removes some of the downside risks of Friday's BLS report. With OPEC apparently reaching an agreement to cut output, the focus can shift back to Europe. Before getting to the ECB meeting next week, where an extension of the asset purchases are expected to be announced, alongside some adjustments to the reduce the challenge of scarcity of some instruments and pressure in the repo market, there are two political events over the weekend. On Sunday, Italy holds a referendum on changes to the size and power of the Senate, and Austria holds its presidential election. Most investors have focused on the Italian referendum. Renzi has indicated he would resign if the referendum lost, but recognized that link as a mistake. The polls, for what they may be worth, have shown a close contest but one that those who are inclined to reject the referendum have consistently been ahead. It simply is not known the Renzi's reaction function. He may not resign, and if he does resign, a caretaker government may be needed to work out the political reforms that are necessary before the election. Earlier this year, the rules for electing the lower chamber were changed, leaving the two chambers with two different electoral rules. Parliamentary elections are not slated until 2018. While the 5-Star Movement did well in the municipal elections earlier this year, a defeat of the referendum does not automatically sweep them into the national government. Moreover, Italian rules about referendums and treaties suggest that even if the 5-Star Movement wins early elections, it is not clear that it could hold a referendum on EMU or EU. In any event, the point is the likely rejection of the referendum will not change things significantly for Italy in the near-term. Renzi could very well resign and be replaced with a technocrat. Renzi's reform efforts have depended on the decree, which does not require immediate parliamentary approval. That suggests that a technocrat government might not be that big of a deal for the perspective of investors, even though many observers see the referendum as posing significant and imminent political risk. Recall too that the opposition to the referendum is not just from the 5-Star Movement or the populist-nationalist right. Not only are some of Renzi's PD opposed, but so is former EU Commissioner and Prime Minister Monti. The classical liberal Economist magazine also came out against the referendum. Austria is a different story. The two-party condominium (Social Democrats and People's Party) since the end of WWII is in disarray. That is how the Green's van de Bellen is running against the Freedom Party's Hofer in the presidential contest. Van der Bellen won barely in the spring before the courts throughout the results due to irregularities in counting the postal votes. Hofer enjoys a small lead in the polls that seemed in the UK and US to under appreciate the vulnerability of the status quo (Brexit and Trump). The Austrian president is a largely ceremonial office, but both candidates have promised to be activists. The president signs the legislation, and can both approve and dismiss the government. This power can be used, but there are checks. Perhaps, the most important check in Austria comes not from the Social Democrat Chancellor, with whom executive power is invested, but also Freedom Party's ambitions to move into the mainstream of the Austrian electorate. 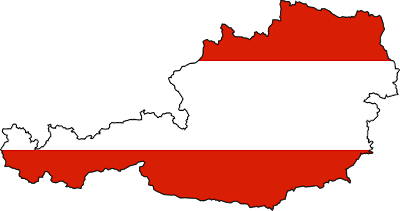 It is serving in only two of nine Austrian provinces. The next parliament election, like in Italy, is slated for 2018. However, like Italy, an election next year cannot be entirely ruled out. Hofer has threatened to dissolve the government if it does not take a sufficiently hard stance against immigration. Hofer wants to ally Austria with the populist-nationalist forces that have come to power in Poland, Hungary, the Czech Republic and Slovakia and takes an accommodative stance toward Russia. Van der Bellen would strengthen the traditional links with Germany. After the UK had voted to leave the EU, Hofer implied that the Freedom Party (which he does not head) could call for a referendum too. However, the suggestion did not find fertile ground. The country is very integrated to Europe through, trade, tourism, and capital flows. Nevertheless, the populist-nationalist forces appear to be filling the political vacuum in Austria, like in several other countries. A Hofer presidency does not mean that Austria will leave the EU or EMU or (somehow) opt out of the European Stabilization Mechanism, which Hofer has also suggested. However, it would be the first far-right head of state in Western Europe since WWII. It would another data point what some see as a broader wave of populism-nationalism, in a way that the Italian rejection of the referendum on the Senate does not deliver.